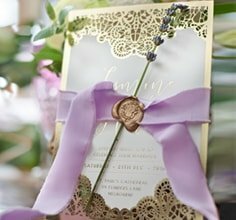 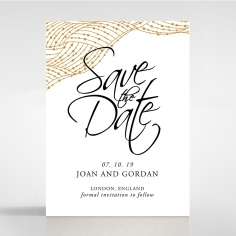 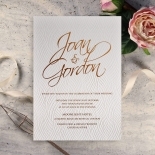 Timelessly elegant and breathing an air of old-fashioned romance while embracing modern styling, this wedding invitation is a creation perfect for couples wanting to tell their love story in the simplest way. 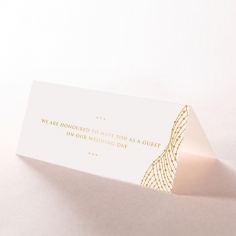 Without overdoing any details, the invites feature blind raised curved weaves on a thick luxury white cotton card stock that is achieved by letterpressing from behind. 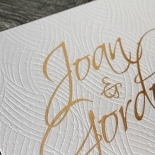 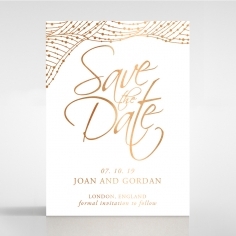 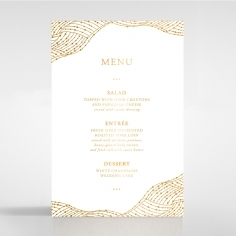 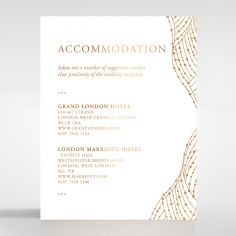 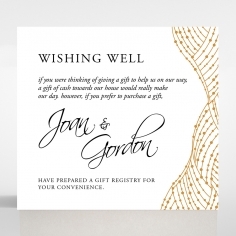 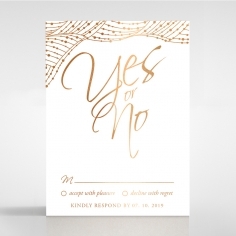 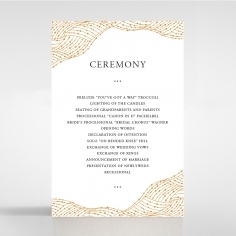 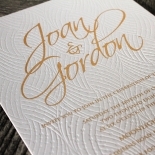 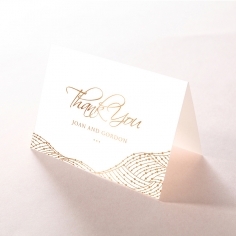 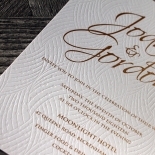 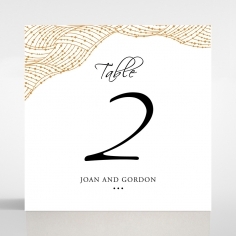 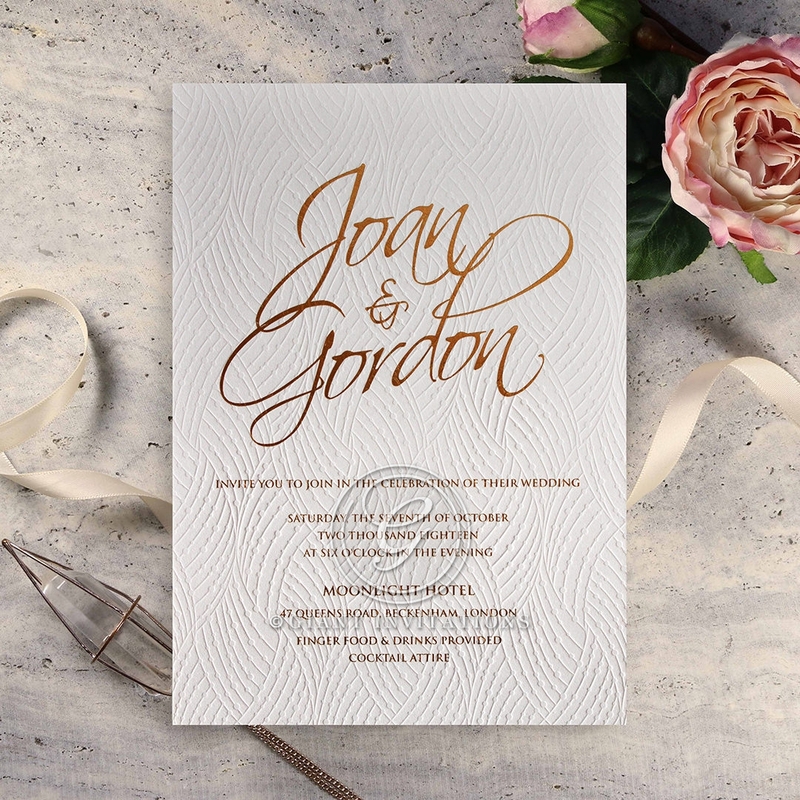 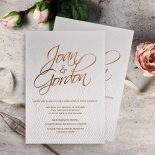 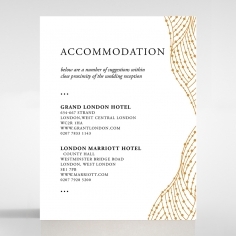 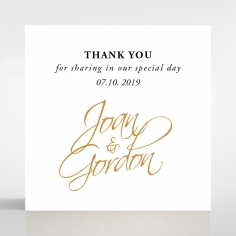 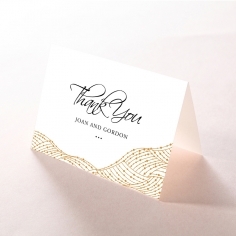 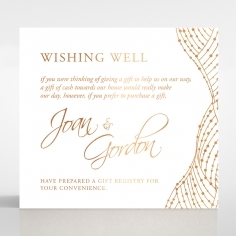 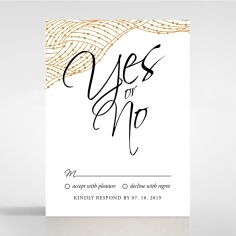 The woven background in turn becomes a richly textured canvas for the main attraction – your wedding invite message in luxurious gold foil that can personalised to suit your personalities. 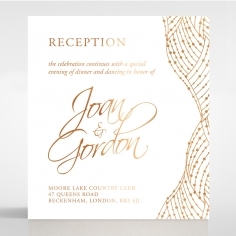 The font styles can also be customised, along with the layout and the foil stamped colour to silver, rose gold or bronze. To top off this lovely stationery, we have also provided complementary envelopes and foil seal stickers.